As part of the awareness raising campaign “Learn your rights together with us”, more than 110 thousands children of 10 to 17 years-old and more than 43 thousands parents/caregivers were informed about children’s rights during the early contact with the justice system. The campaign started in March 2015 and it was carried out by Terre des hommes Moldova and the General Police Inspectorate of the Republic of Moldova, with the financial support of the European Union, within the two-year project “Promotion and Protection of Children’s Rights within the Justice System of the Republic of Moldova”. It aimed to inform children and their parents/care-givers about children’s rights and the procedures that they might go through during the early contact with the justice system, either as victims, witnesses or suspects of committing an offence. Children and parents/caregivers participated in prevention and information sessions that took place in all schools and summer camps from Moldova. The sessions were mainly carried out by police officers, according to a methodology elaborated by Terre des hommes Moldova, which had the “Justice for Children” film at the centre. Other activities of the campaign included distributing and displaying thematic posters and leaflets in all schools and Police Inspectorates/sectors. Further, to motivate and encourage children to learn more about their rights, an online competition “So what now…?” was organized. More than 2400 children from all districts of Moldova participated in the competition, which culminated with the awarding event on International Children’s Day, June 1. The information campaign concluded with a special event dedicated to November 20, which marks the Universal Children’s Day, the anniversary of the UN Convention on the Rights of the Child. 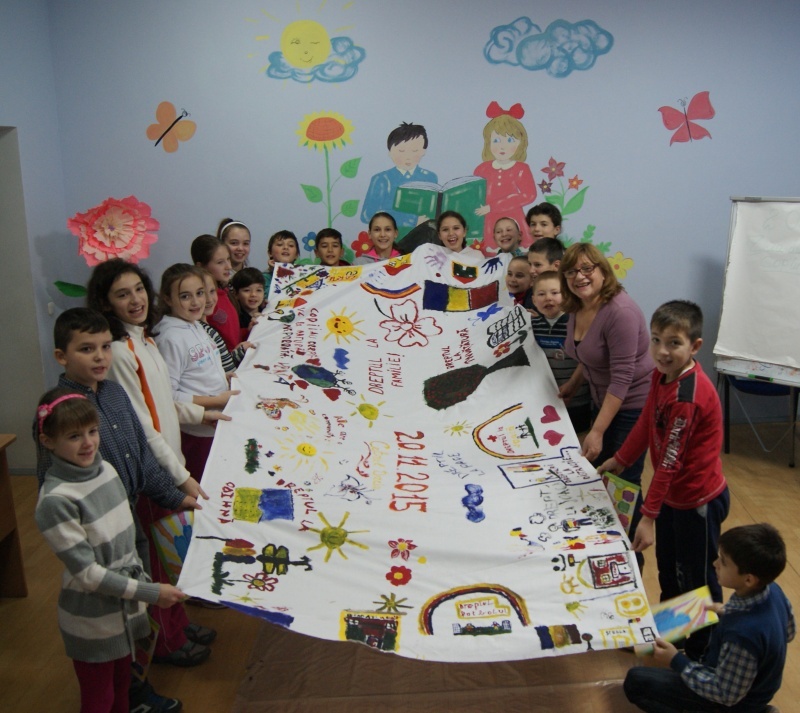 750 children from various districts of Moldova, including the Transnistrian region, participated in group activities where they represented their rights in drawings. the Right to Protection agains Physical and Psychological Violence.